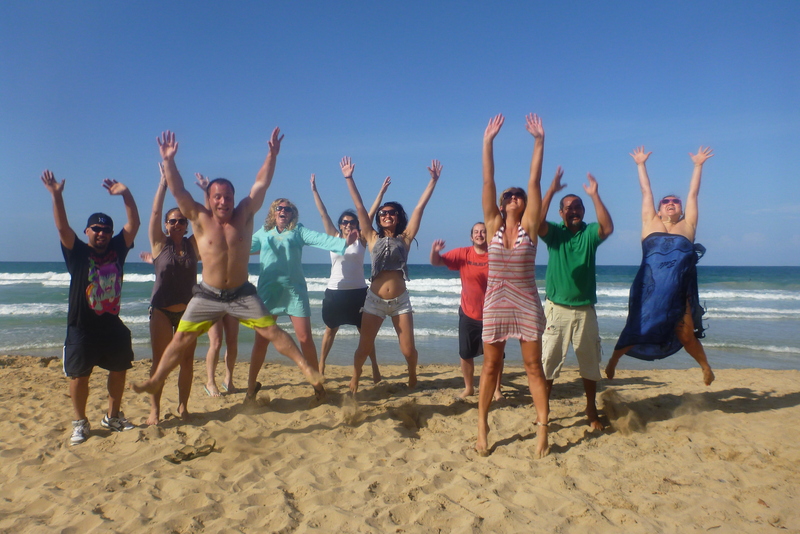 After the great success of our past 3 retreats here and due to popular demand we’ve added this additional week in July – click here for pictures of past Retreats and here for a handy factsheet about Panama & this retreat location. 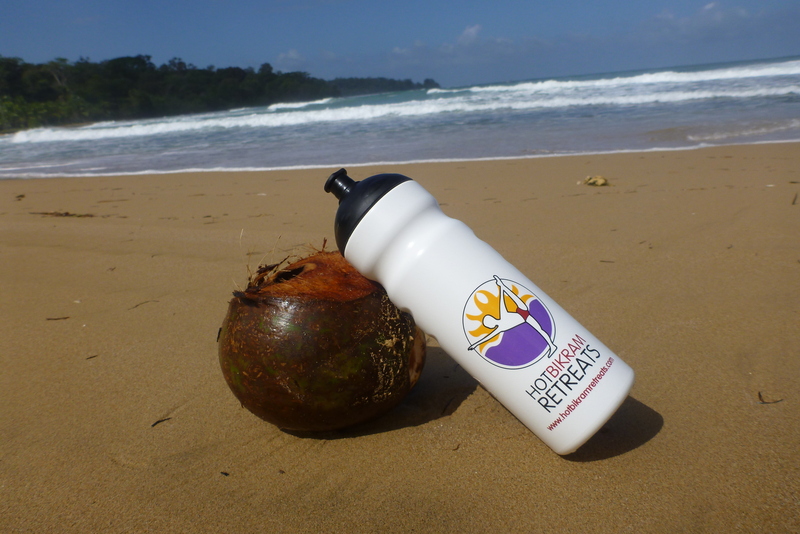 So join us in the Caribbean islands of beautiful Bocas del Toro, Panama, for an unforgettable week of Yoga and Surfing classes and more. Our Hotel is located on the gorgeous Carenero island, just a 5 minute boat ride from the main island Isla Colon with its airport, shops, restaurants and night life. There are no cars on Carenero island, access to the Hotel is directly via its own pier and only via boat which guarantees quietness and privacy. 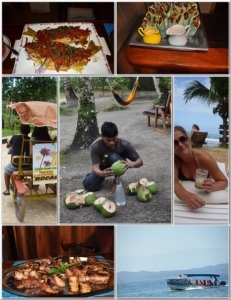 We first discovered Bocas del Toro 13 years ago backpacking through Central America and were just fascinated by its location, beaches, food, people and relaxed lifestyle. There is so much to Bocas words can’t even explain. You have to see for yourself. 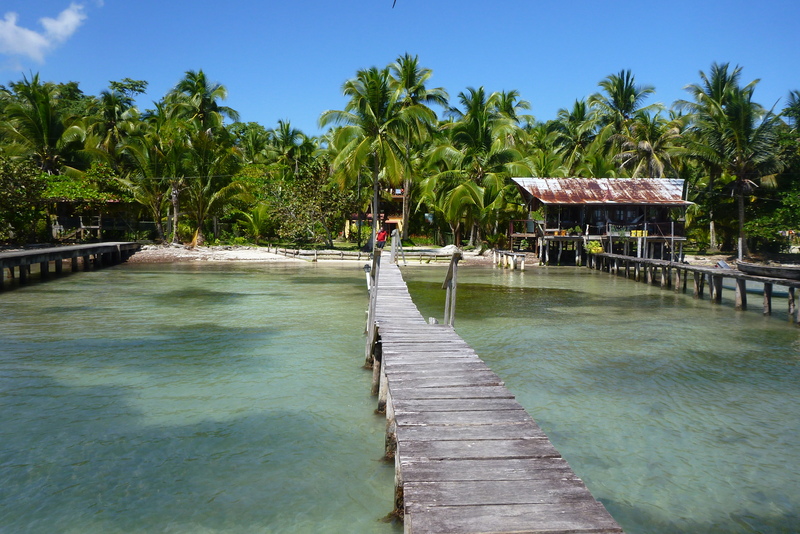 And for 13 years …not much has changed in Bocas. It’s still the same beautiful place and we just love it. Have a look for yourself. Enjoy daily Yoga classes (variation of Vinyasa-based flow yoga classes) in our beautiful studio overlooking the ocean as well as surfing classes right outside your hotel. Come on a day trip to discover the beautiful islands of Bocas, watch dolphins, snorkel or just enjoy local Caribbean food. Our own private chef will prepare delicious dishes comprising a combination of (mainly) locally sourced ingredients including fish, meat, raw and vegan options. Optional activities include: Sunset cruise, horseback riding on the beach, SUP boarding, diving, painting workshop or chocolate and botanical gardens tour. 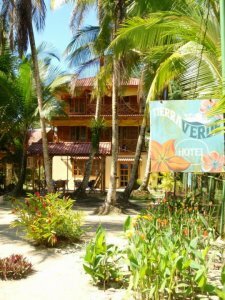 7 nights accommodation in either single or double (shared) occupancy at Hotel Tierra Verde on Carenero Island set right on the water (all rooms are equipped with private bathroom, Aircon, TV and Wifi ) – single accommodation is limited! Enough time to relax…. and lots of fun… guaranteed! All of our Retreats are open to ALL levels – whether you are new to Yoga – and please note, you don’t have to take part in all the Yoga classes – it’s all up to you. Do as much or as little as you like! It’s YOUR holiday! 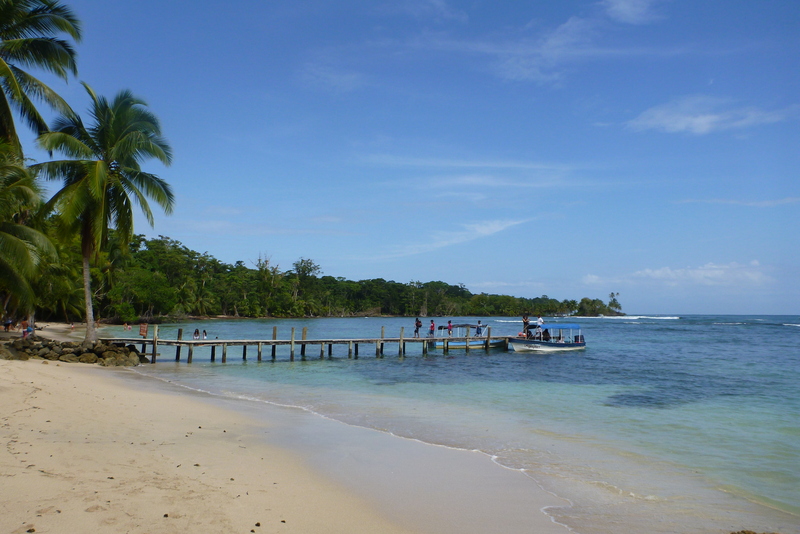 Bocas del Toro is easy to reach by plane, bus and/or boat. The fastest way is by plane, which takes about 1 hour each way from Panama City or San Jose (Costa Rica). There are around 6 flights a day from Panama City to Bocas. Please check www.airpanama.com (they have several flights a day to Bocas). If you are arriving from Costa Rica please check www.natureair.com for flights. We are also happy to book flights for you. No problem! If you plan to travel by bus/boat please note that the trip varies in time and takes anywhere between 7-10 hours. We can arrange that for you as well. Please contact us! Also please be aware that airpanama only always updates their system with flights around 3 months before the actual flight. So If you are checking the website in September you are very unlikely to find flights for January. We will inform you when the flights become available, not to worry there are plenty. Check-in on the first day of the retreat is from 2pm and check-out on the final day by 1pm. Airport transfers can be arranged for any time on these days. The hotel will do its best to accommodate earlier arrivals/late departures where possible. Should your room not be ready yet you can always leave your luggage with the hotel and relax in a hammock or explore the island.